CSNN is just one of the amazing vendors taking part in the 12th Annual Ottawa Health and Wellness Expo. 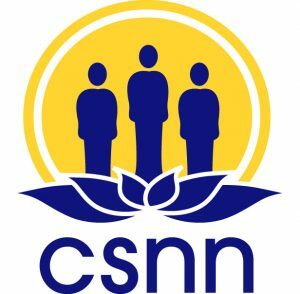 Be sure to say hi to the CSNN team on Saturday, January 27th, 2018. Oh, and be sure to check out Natalie Rivier’s (CSNN, Branch Manager) Breakout Speaker Session at 1:45pm in the Music Hall. Buy your tickets now! CSNN Ottawa offers both full-time and part-time in-class studies in Natural Nutrition. Students can study in the daytime or the evening. The Natural Nutrition Program prepares holistic nutrition professionals in a very practical way to meet this goal through counselling individual clients as well as through community education. Through supervised case studies, the students learn to do individual client assessments and to give nutritional recommendations. The connection between body, mind and spirit is an integral and important part of these studies. It is scientifically demonstrated that our state of mind and spiritual wellbeing affect our physical health. The study of this well-established phenomenon is not linked to any religious creed. It is purely academic and aims to enlighten in a broad way about the effects of life experiences and circumstances, on health. The Natural Nutrition Program consists of 17 courses (note: one course split for Distance Education format), covering natural nutrition relevant to each stage of life, as well as sciences, research and fundamentals of business. It provides a strong foundation for a career in the complementary health industry. Well-qualified teachers and dedicated managers ensure that your experience at CSNN will be successful and worthwhile. What sets your business apart from other businesses in the health and wellness field? 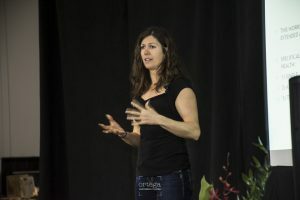 As Canada’s largest, leading school of holistic nutrition, being the first to offer classroom format, CSNN is nationally recognized for its standards of excellence in regards to its curriculum, methods, instructors, and student results that raise the bar in the growing holistic nutrition industry. CSNN’s curriculum is regulated by the provincial education ministries that regulate private career colleges. Anyone with a passion for health and well-being!